Layer two pieces of streaky bacon into the muffin tin (in a basket shape). 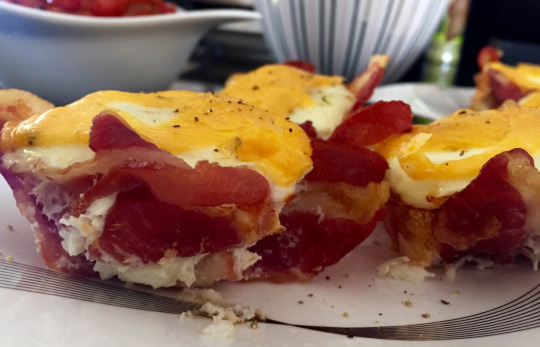 Break a whole egg into the bacon (in the muffin tin). Bake for 10-12 minutes or until egg is cooked and bacon is crispy.